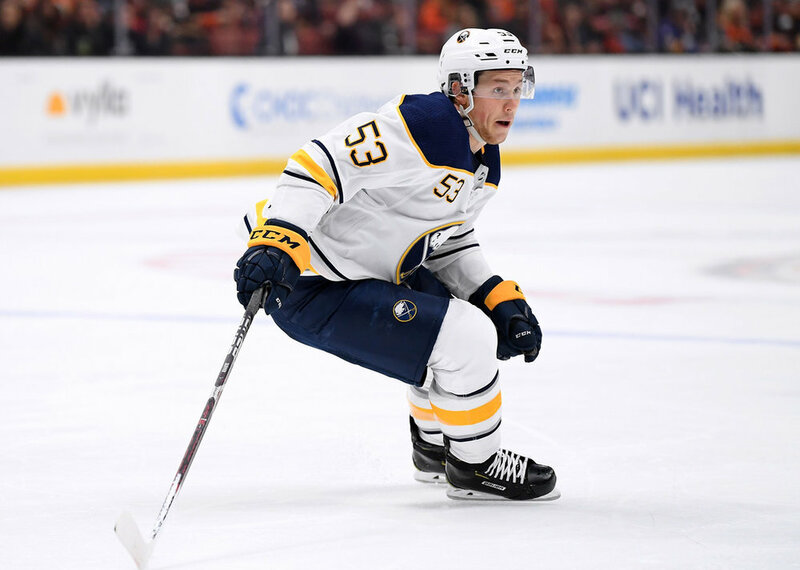 Sniper Jeff Skinner admitted he’s enjoyed his time in Buffalo while speaking to the media on Monday, but would not go in-depth about his future with the organization. Skinner, who turns 27 on May 16, is set to become an unrestricted free agent July 1 unless he signs an extension with Sabres. He told reporters “it’s a big decision,” but would not elaborate further. “I like it here, I love it here. I like the guys, I like the city. I’ve had a great time,” he said, as quoted by the Sabres twitter account. TFP has learned Sabres GM Jason Botterill is expected to speak with Skinner’s agents, Don Meehan and Craig Oster, once again, later this week where the two sides may formally resume contract negotiations. According to Sabres beat reporter Mike Harrington of the Buffalo News, the Sabres’ decision to fire head coach Phil Housley may play a factor in upcoming contract talks. In 82 games with the Sabres this season, Skinner registered a career-high 40 goals, along with 23 assists for 63 points.